A tense New York thriller, The Taking Of Pelham One Two Three is an unyielding tension-packed hostage drama accentuated by a veteran cast. Four densely disguised and heavily armed men seize control of a New York subway car with seventeen passengers on board. Using only pseudonyms to address each other, the leader is ex-mercenary Mr. Blue (Robert Shaw), and the rest of the gang consists of former New York transit employee Mr. Green (Martin Balsam), the trigger happy Mr. Grey (Hector Elizondo), and Mr. Brown (Earl Hindman). With the hostage train held between stations, the New York subway system grinds to a halt. Over the train's radio system, Mr. Blue opens negotiations with Lieutenant. 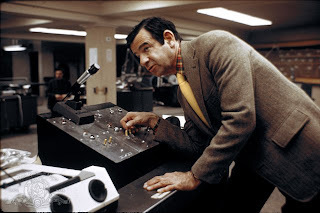 Zachary Garber (Walter Matthau) of the transit police, demanding one million dollars within an hour, otherwise a hostage will be killed every minute. Garber has to convince the unpopular Mayor (Lee Wallace) and his assistant (Tony Roberts) to pay-up, the money has to be collected and counted, and then sped through New York to the 28th Street station, the closest entrance to where the hostage train is stopped. With time running out, Mr. Blue starts to lose patience and the subway tunnels fill-up with police officers and snipers. Not every aspect of The Taking Of Pelham One Two Three works well. The characters are given either rudimentary backstories or none at all, a missed opportunity for Mr. Blue, Mr. Green and Garber. The Mayor of New York is laboriously introduced then unceremoniously dumped. And the ending in particular is a bit ragged, the hijackers suddenly becoming error prone in a manner inconsistent with all the intricate prior planning that went into the hijacking. But otherwise, the film is a transcendent example of 1970s crime dramas set in New York. The Taking Of Pelham One Two Three derives monstrous energy from the City. Whether the transit employees, the police officers, the politicians or the hostages, here everyone is rude, loud-mouthed, sometimes vulgar, and quite irritable. Yet they do what they need to do to make things work and get by for another day. Faced with a bizarre hostage crisis, nothing in the response goes according to any plan, but sheer persistence and jagged cooperation keeps Garber one step ahead of a lot of dead hostages. 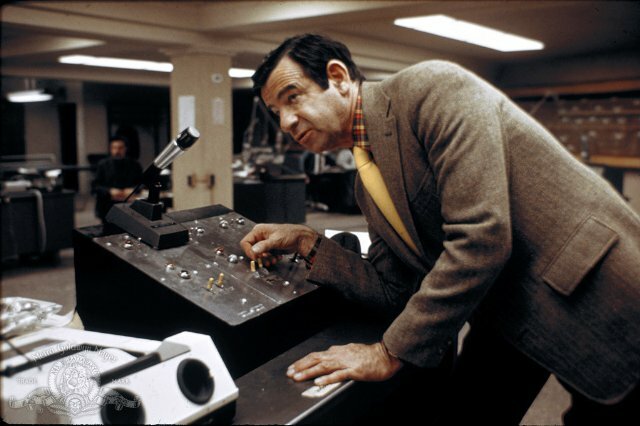 Walter Matthau provides a timely reminder of his effectiveness in dramatic roles, his unkempt persona perfectly suited to the transit authority setting. 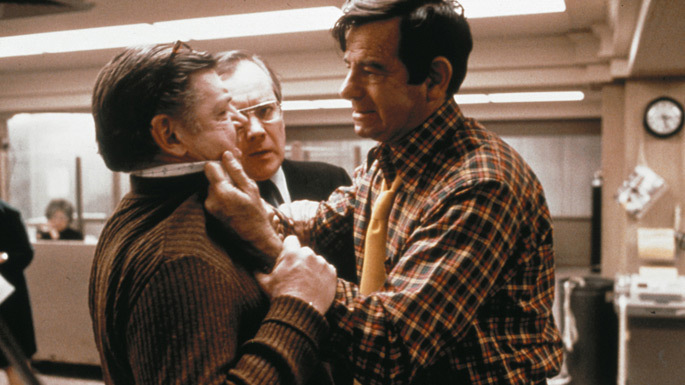 Director Joseph Sargent portrays a transit system that works but only because of the dogged determination of the stubborn, sweaty characters that run it, and Matthau's Lieutenant Garber is a perfect fit. Robert Shaw as Mr. Blue is a formidable main foe. A cold hearted killer with ice in his veins, Blue plans for events several steps ahead of everyone else, and whiles away the time solving crossword puzzles as a million dollar life and death drama unfolds. With his British accent elevating him above the prevailing New York riff-raff, Blue appears in total control of an audacious hostage plot. David Shire provides a drop-dead brilliant music score, a driving, brass-heavy tune with an infectious riff that goes exactly nowhere but enjoys every groovy juncture. 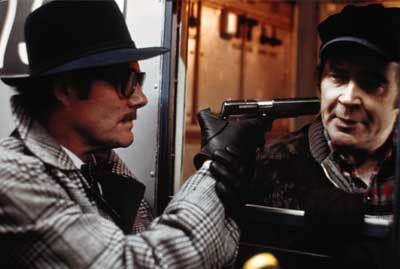 The Taking Of Pelham One Two Three careens down the tracks, a blast of an entertaining ride.